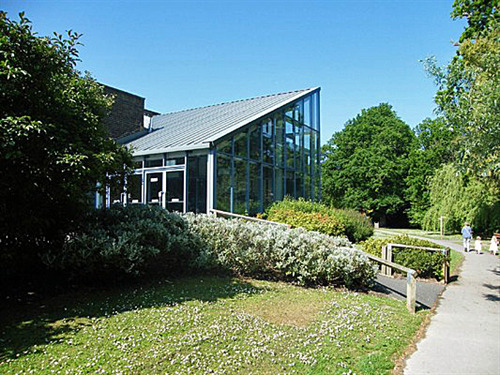 Haywards Heath has a wealth of leisure facilities for all ages and families alike to enjoy. These delightful gardens lie just on the edge of the town and are the jewel in the crown of Haywards Heath’s informal recreational facilities. The gardens were given to the town by the Trustees of the will of Mr. W. J. Yapp, the owner of the house that formerly stood on the site but are now managed by Mid Sussex District Council. The features and attractions on site include a Miniature Railway, Family Restaurant, Children’s Playground, Croquet Lawn, Artificial Bowling Strip and Petanque Pistes. For those who just wish to relax there is a Wildflower Meadow, Rock Garden and Picnic Lawn, which allow beautiful views of the South Downs. There is also an Informal woodland dog walking track, which takes you along a woodland route around the eastern edge of the gardens along with its beautiful flora & fauna. 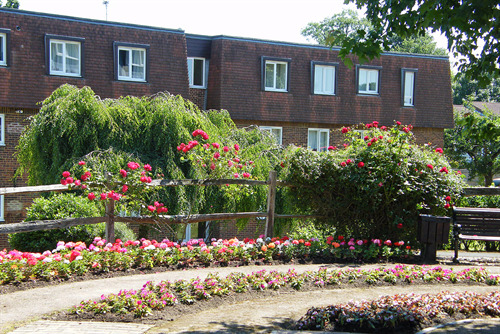 ​For more information on Beech Hurst Gardens, please click here. Victoria Park Transformed for Town Day! Victoria Park is the Town centre’s much needed green park, which is fourteen and a half acre of open space offering both formal and informal recreational activities. 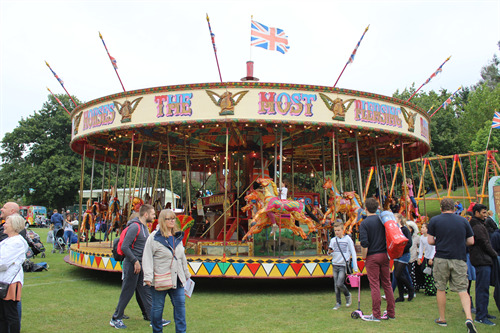 The range of amenities draws residents from all over Haywards Heath into the Town Centre to participate in activities that people of all ages can enjoy. The main area of the park is laid out for football while around the edges there are a host of other facilities, including three tennis courts, a skateboard park for youngsters, and a playground complete with paddling pool for the younger children. On a higher plateau overlooking the main part of the park is a popular wooded oasis where residents can relax away from hustle and bustle of the Town Centre. This area is especially lovely in Spring and Autumn with the differing seasonal colours of the trees. 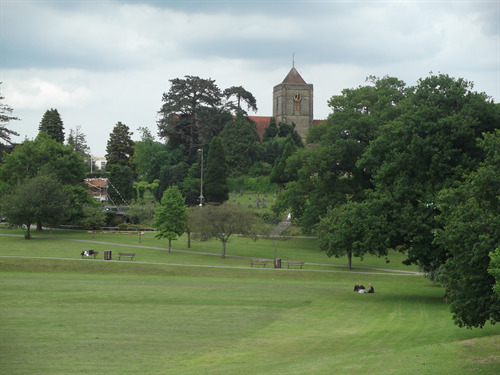 Victoria Park is ideal for a quiet picnic lunch during the working day, as well as for family outings at the weekend. 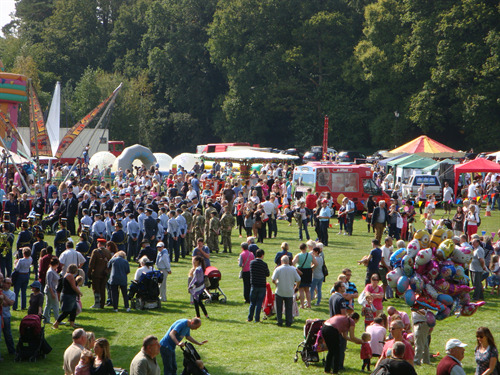 The park is also a venue for the Town Council's annual Town Day, which is held every September and other summer music festivals. For more information on Victoria Park, please click here. 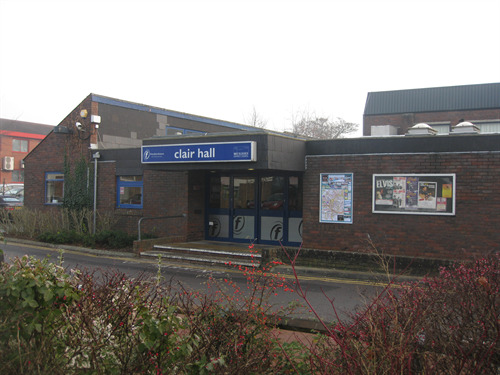 The Town's main cultural facility was built in 1974 following the redevelopment of the former Community Hall in South Road. In 1997 it was extended and refurbished. There is a main hall and smaller hall plus other rooms. The main hall has a large stage enabling shows of all types, both amateur and professional to be produced. The building also offers facilities to host civic functions, meetings and conferences. The Haywards Heath Operatic Society puts on two shows a year and the Weald Theatre Group presents an annual pantomime every Christmas. It also serves as the local cinema with current films being shown in the main hall. For further information call (01444) 455440. This is a fine leisure complex situated near to the station. It contains two public pools, (main pool and children's pool), a large dry sports hall, squash courts, fitness and health suites including its own members only swimming pool, meeting rooms and catering facilities. Outside there is a large car park, open space and children's playground. Contact number for the centre 01444 457337. Known by locals as The Heath and by others as Clair Meadow, this lovely open space that was once part of the original Heath, is now surrounded by housing. This makes its woodland walks and childrens playground even more precious. This whole park has now been designated a Conservation Area. 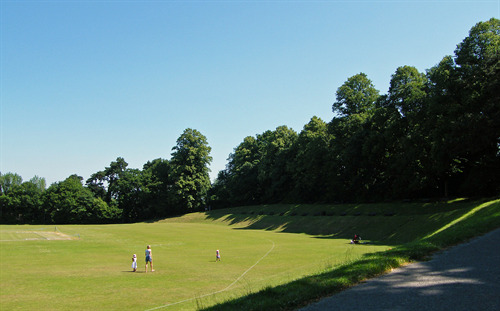 The park is also home to the town's Cricket Club. This circular garden is at the South entrance to the town at Sussex Square and was laid down to commemorate the Queens Silver Jubilee. It has several seats around its circle where shoppers or visitors to the town can rest awhile and take in the sight and smells of the lovely flowers. Muster Green was designated a Conservation Area in 1979 and devolved down to the Town Council in 1987. It is now maintained to a very high standard by the Town Council. 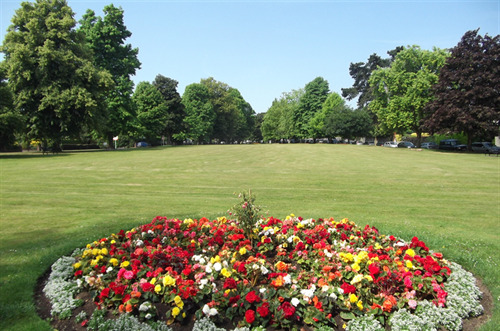 With its traditional flower beds, this impressive tree lined green, bordered by Victorian and Edwardian houses with the War Memorial at the apex, makes it a fitting entrance to the town. At the top end of the green oppopsite the War Memorial is one of the Town's oldest buildings, the Sergison Arms, by which name people have known it for some 130 years. It was built in the 16th Century and was originally known as "Vinalls". It was the Sergisons, through marriage to the Warden family, who owned most of the land, which makes up the Haywards Heath of today. Opposite the the Sergison Public House, is the Sussex Police Northern Division building and Police Station opened in 1992. This stretch of land between Haywards Heath and Lindfield has been preserved as wet land and is ideal for nature walks, bird watching and for local schools field trips. The reserve acts as a flood plain for the Scrase stream, which is a tributary of the Ouse. The site offers a valuable wildlife refuge and has been given a national designation of Local Nature Reserve. This area of open space will be kept as a green boundary between the town and village. On the north side of the tranquil Western Road Cemetery, which is owned by the Town Council, is a fenced off footpath, referred to under the Leisure heading as a Nature Walk. This walk is a favourite venue for local dog walkers and was fenced off from the burial area to stop the dogs running across the graves. Although most of the cemetery is botanically interesting and is designated as a Site of Nature Conservation Importance (SNCI), this footpath is particularly worth a visit, as a board walk has been installed along the more muddy sections and two illustrated information boards have been erected by the Town Council. The site as a whole has plants not otherwise found in urban Haywards Heath because this marshy area is a remnant of a habitat that is now scarce in Sussex. A balance is required in the management of this habitat in order to safeguard the dignity of the cemetery while maintaining the habitat for the special plants. The Greater Tussock Sedge is a particular feature to look for. It is uncommon in West Sussex as a result of habitat destruction (but may also be seen at Amberley Wild Brooks, owned by the Sussex Wildlife Trust). Also look out for the Ivy Leafed Bellflower with its tiny blue flowers in July - August.